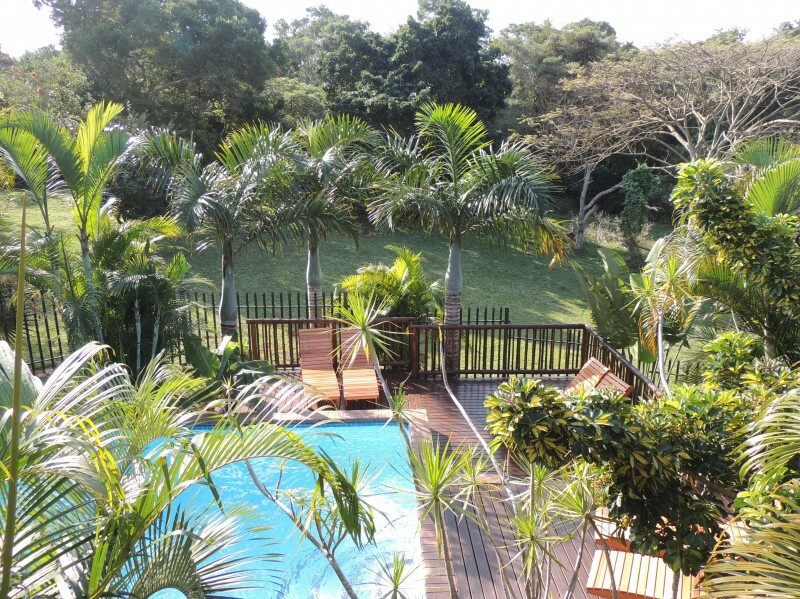 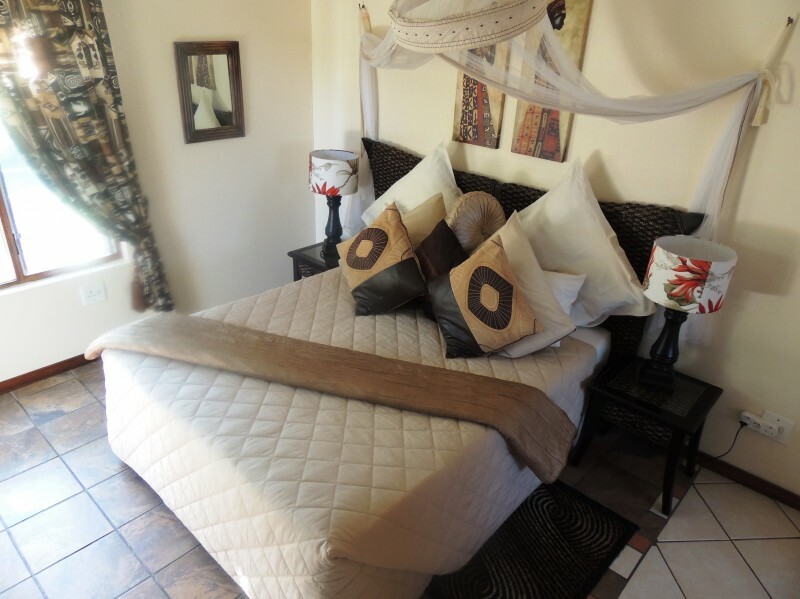 This luxury guesthouse is ideally located in the picturesque town of St. Lucia, Gateway to iSimangaliso Wetland Park bestowed with UNESCO World Heritage status in 1999. 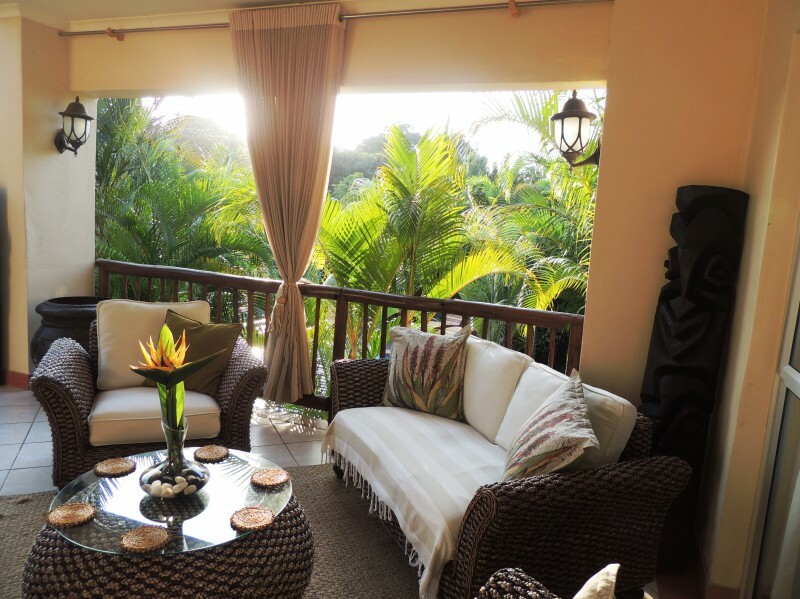 This amazing safari and holiday destination of exceptional beauty combines the best of both land and marine nature environments. The magnificent surroundings of the renowned Elephant Coast Guesthouse forms an excellent base from where to explore the diversity on offer. 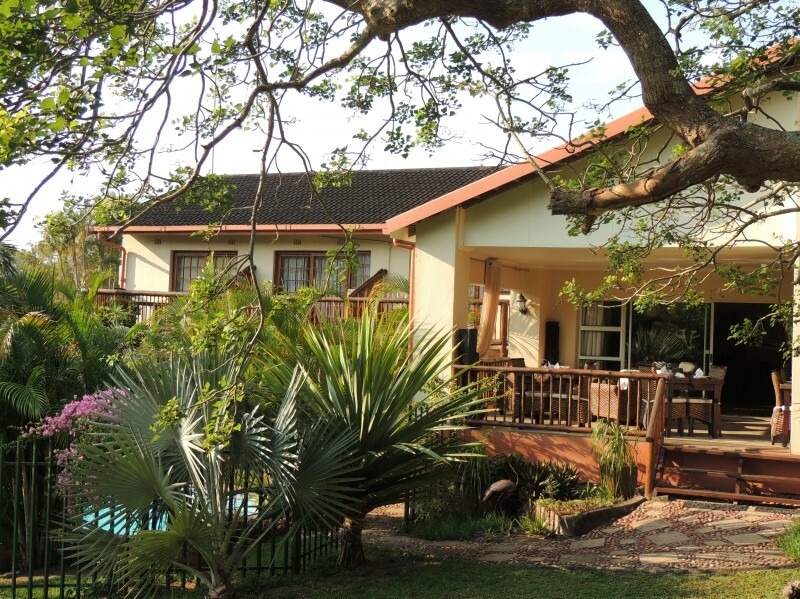 Experience, hear and listen to the heartbeat of Zululand while revelling in comfort in our haven of peace and tranquillity with attentive and friendly staff. 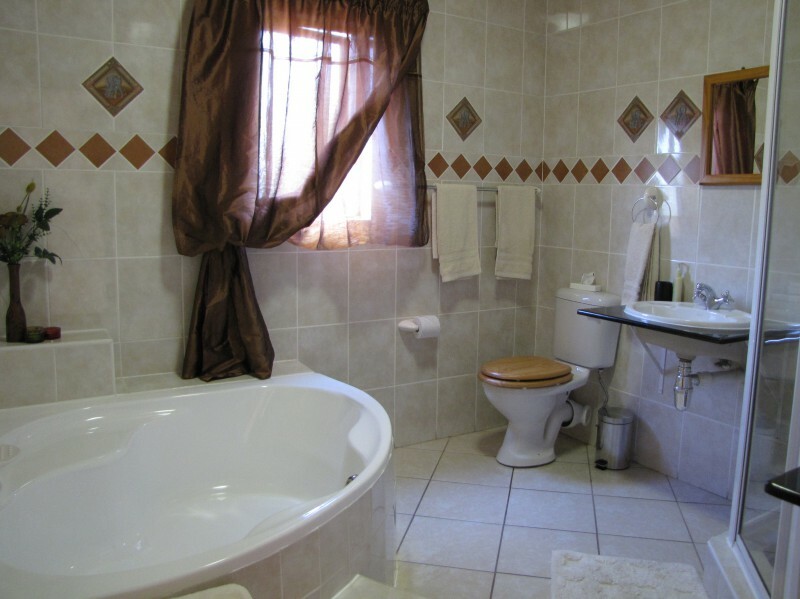 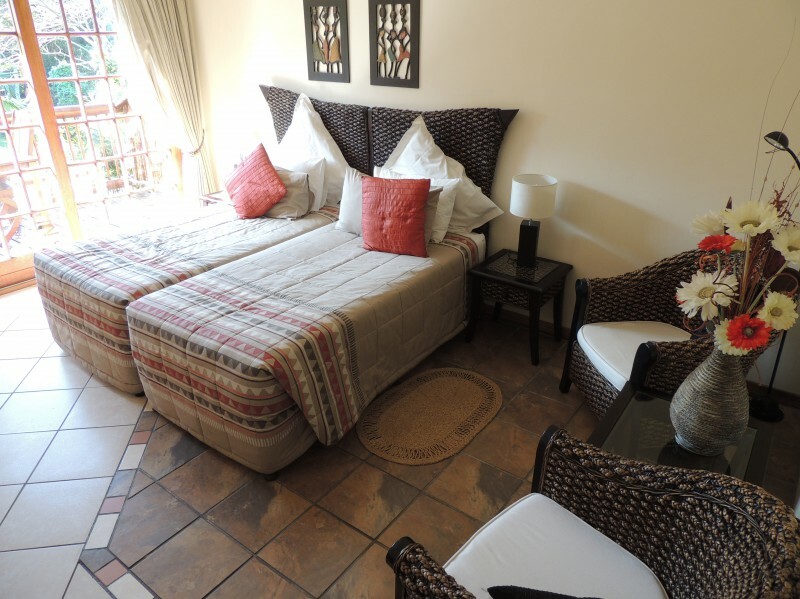 The Elephant Coast Guesthouse owned by Albert Lindeboom & Cisca van Asperen is a Bed and Breakfast establishment with air-conditioned Twin, Double and Family rooms, en-suite bathrooms and all the necessary amenities to make your stay comfortable. 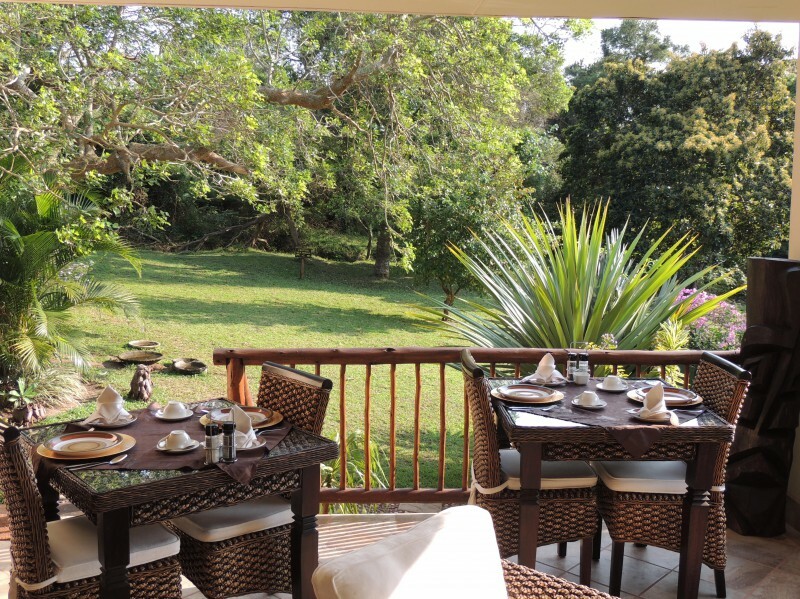 A Delicious healthy breakfast with fresh fruit daily is served outside on the terrace overlooking a sparkling swimming pool and the St. Lucia Nature Reserve. 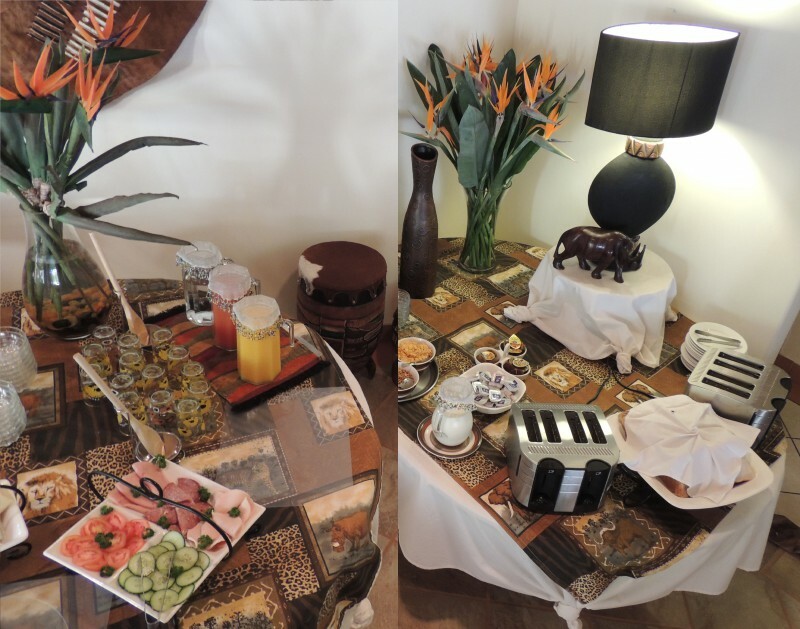 The Highly Recommended Elephant Coast Guesthouse is decorated in a home style African atmosphere to enhance the vibrant colours of our surroundings – sea, sand, dunes and bush. 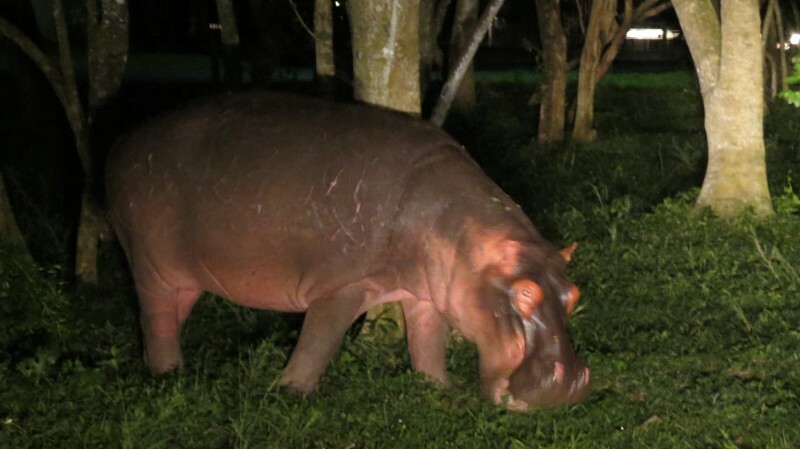 Our tropical paradise sometimes has strange and exotic visitors, an occasional leopard or a wandering hippo as well as lots of feathery friends. 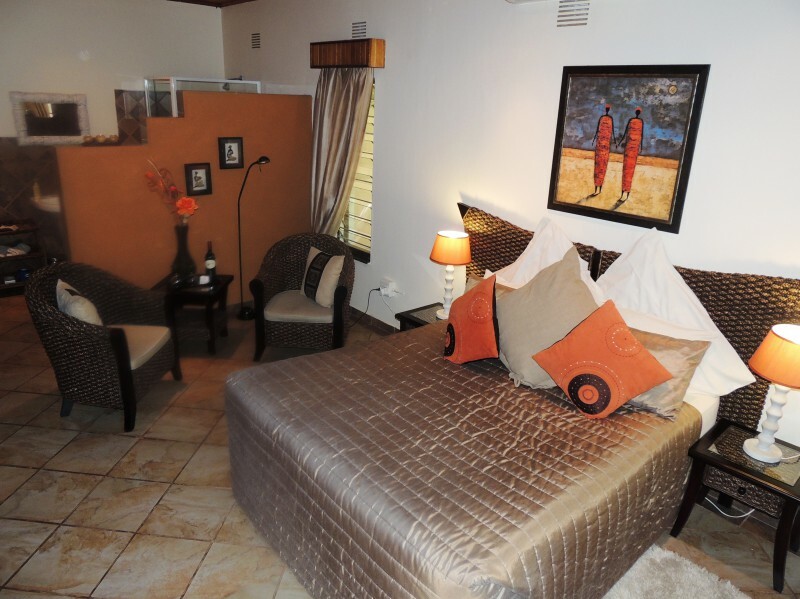 Come and unwind in this secluded oasis of blissful living where the pulse of Africa meets with refined elegance and VIP treatment.